When you’re the legendary outlaw, Star-Lord you get to have all the coolest friends to hang out with. He spends most of his time hanging out with a fast talking raccoon, a walking tree-alien-thing, a giant wrestler guy and a girl that’s green from head to toe. Talk about awesome! So, it comes as no surprise that your kid would want to be just like Star-Lord from Guardians of the Galaxy? Actually, maybe it’s a perfect fit for your kid! He’s got the roguish charm of Peter Quill. He’s got some rad one-liners. And, well, he might be a little too young to have a spaceship of his own, but that will come with time. All he needs is the right look and he’ll be ready to rock as the intergalactic outlaw! 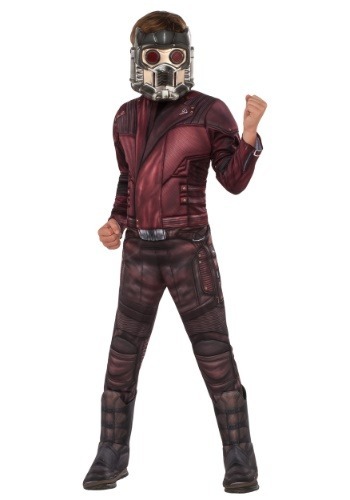 This child Star-Lord costume comes licensed from Guardians of the Galaxy Vol. 2, so your child can have an authentic superhero look in the matter of minutes. 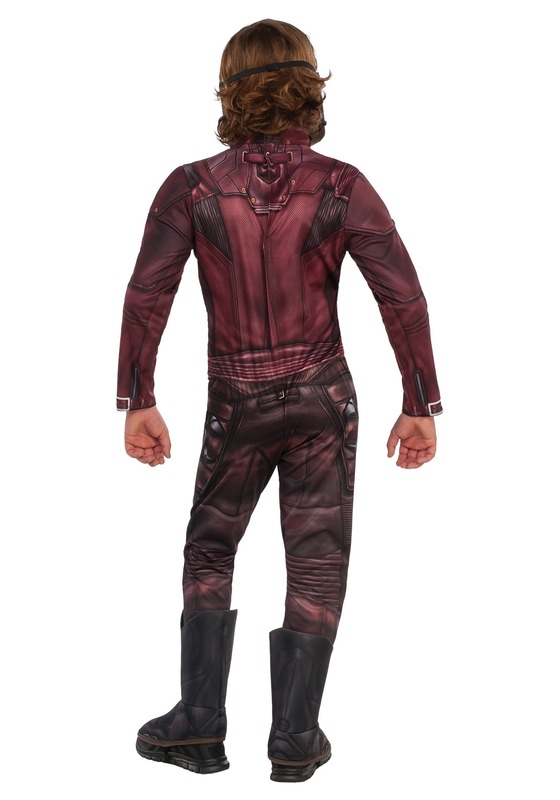 The costume comes with a full jumpsuit that recreates the look of Peter Quill’s suit with printed details. It also has attached boot covers that fit over your child’s normal shoes. The mask fits with elastic and looks just like the one worn by Star-Lord during the movie. Once your child has this deluxe Marvel costume on, the only thing you’ll need to do is gather up his friends to form a ragtag crew of heroes to save the galaxy. Does he have any raccoon friends? He’s going to need one!